Opal diffuser envelops fixture housing in a smooth architectural line with the accent on simplicity of design. 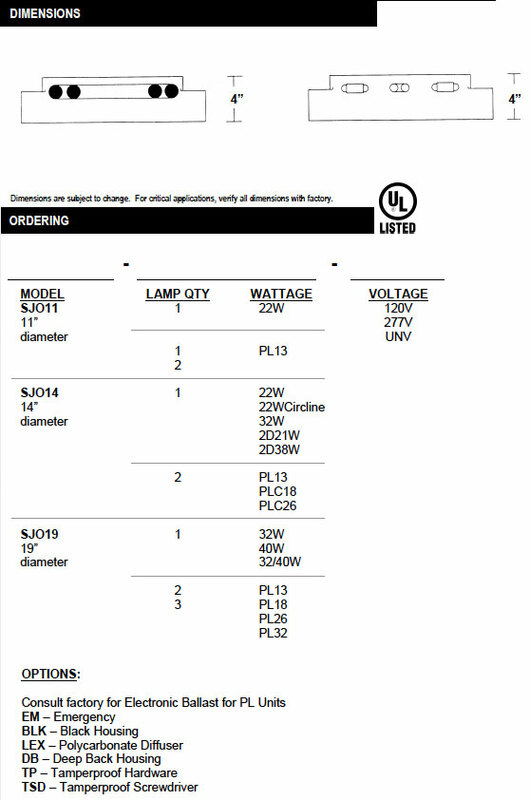 Three sizes (11”, 14”, 19”) accommodate a large variety of lamp combinations. 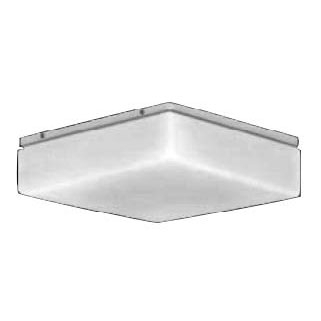 Deep-housing supplied for all emergency pack or higher wattage (18W or 26W) PL lamps. Designed for ceiling or wall surface mounting. Optional tamperproof hardware. Soft white acrylic diffuser is standard. Optional white polycarbonate. Housing is finished inside and out with premium grade, baked white enamel with a minimum reflectance of 89%. Optional black paint for housing exterior is available.